FROM ROANOKE, BEDFORD & WEST: Take 460 East (Orange Ave) from Roanoke. (If you are coming from Salem, Blacksburg, or parts west of Roanoke, get onto I-81N to Troutville/Cloverdale Eastbound exit. When you exit at Troutville follow signs to Bedford marked 221 North & 460 East.) Stay on 460 at Bedford until you see signs for 221 North. exit right for 221 North, taking left at end of off-ramp. Proceed one block and turn right at CVS following signs for 221 North. Continue for around 2 miles and turn right at major intersection onto 221-North proper (a Napa Auto Parts store is on your right). Continue heading eastward on 221 North for approximately 15 miles or so to reach Forest. A few miles past Forest Middle School on right, the road will go from 2-lane to 4-lane. Cross over railroad overpass, then past Exxon and Wachovia on your right. Between Wachovia and Burger King turn right into Graves Mill Center. 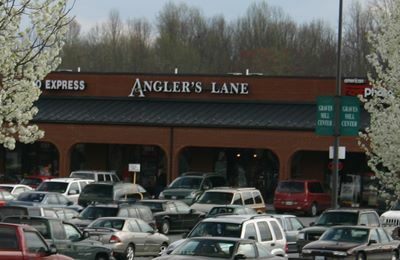 Angler's Lane is to right of and perpendicular to Food Lion in Graves Mill Center. FROM SOUTH: Take 29 North to Lynchburg, VA (bypass Danville, Altavista). Pass airport (on left) and stay left at (don't take) 460/ 29-N Bypass exit; continue past Wallmart (on left), and past River Ridge Mall (on right). Immediately after River Ridge Mall, drive over expressway and exit right onto 501 North. (This exit is a 270 degree loop exit.) On 501-North, pass Timberlake 460 exit, then take next Exit #11 onto Graves Mill Rd. At top of exit ramp, turn left onto Graves Mill Rd. Go through 4 lights (not counting light at top of exit ramp) and just before 5th light you will turn left into Graves Mill Center . 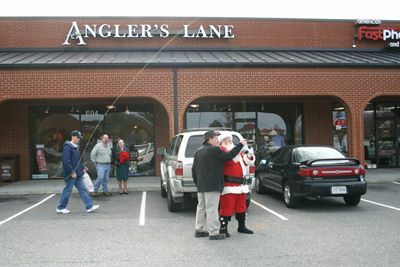 Look for Angler’s Lane in section perpendicular and to the right of Food Lion. FROM NORTH: Take 29 South towards Lynchburg , VA. Pass Lovingston and cross Tye River. As you reach Amherst , stay left on 29-South Bypass (don't take 29-Business/Madison Heights exit). Continue on 29-S Bypass for around 12 miles, passing over James River . Immediately after crossing James River exit right onto 29-South/460 West. Continue for several miles and take 2nd exit marked Candler’s Mountain Rd – 501 North. Continue through 2 stop lights and exit right for 501N. Continue for another 2 miles and exit right onto Exit #11– Graves Mill Rd. At top of exit ramp, turn left onto Graves Mill Rd. . Go through 4 lights (not counting light at top of exit ramp) and just before 5th light turn left into Graves Mill Center . 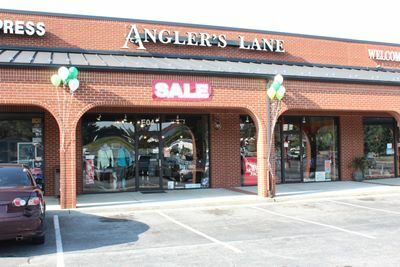 Look for Angler’s Lane in section perpendicular and to the right of Food Lion. From EAST: Take 460 West towards Lynchburg. As you approach Lynchburg, note but do not take the 29-North exit. Continue past the 501N-Business exit, then take the next exit marked Candler’s Mountain Rd – 501 North. Continue through 2 stop lights and exit right for 501-North. Continue for another 2 miles and exit right onto Exit #11 – Graves Mill Rd. At top of exit ramp, turn left onto Graves Mill Rd. . Go through 4 lights (not counting light at top of exit ramp) and just before 5th light turn left into Graves Mill Center . 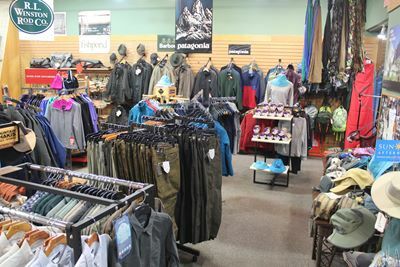 Look for Angler’s Lane in section perpendicular and to the right of Food Lion. From NORTHWEST (Lexington): From I-81 Take 60-East to Buena Vista. Continue on 60-East into Buena Vista until you get to Hardees on your right, where you turn right onto 501-South. Continue on 501-South for ~ 25 to 30 miles, as you will pass Glasgow, drive over the mountain, cross the James River and go through Big Island and Coleman Falls and up mountain past Eagle Eirie. At your first stoplight in Lynchburg turn right onto the so-called Expressway. Continue for ~ 5 miles until next light where you turn right onto Old Forest Rd. Go 1 block and turn right at Honda dealership onto 221 Lakeside Drive/Forest Rd. Go through 2 lights and at your third light turn left onto Graves Mill Rd. Then immediately turn right into Graves Mill Center. 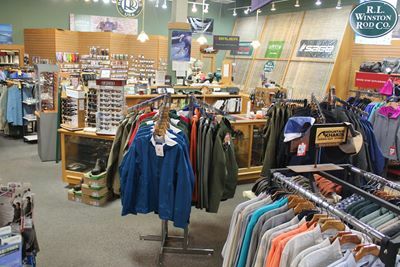 Look for Angler’s Lane in section perpendicular and to the right of Food Lion. 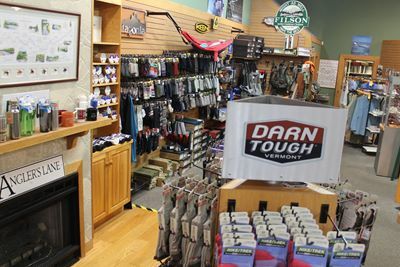 Phone # at Store: 434-385-0200.